Impress your clients or guests when you reserve our Waterfront Parlour. This sophisticated space is 700 square feet and can accommodate up to 30 guests. 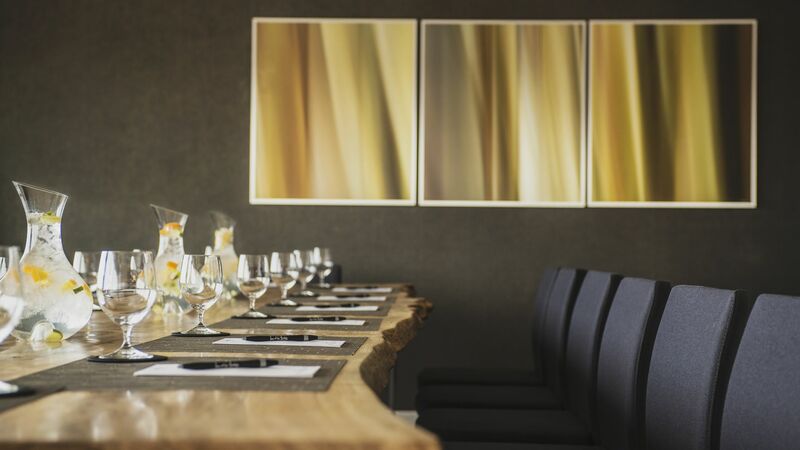 Offering panoramic views of downtown Winnipeg, this room is perfect for an executive meeting or reception, and also features a locally crafted live edge permanent boardroom table, separate living/ gathering space, an in-room private bathroom and in-room temperature control.